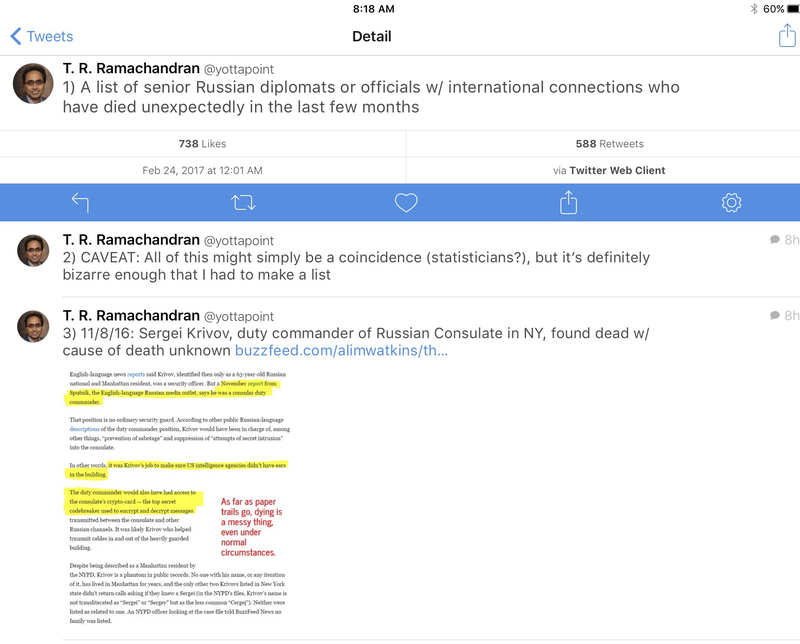 Think that dossier implicating Trump with Russia is fake? Putin doesn’t seem to think so. 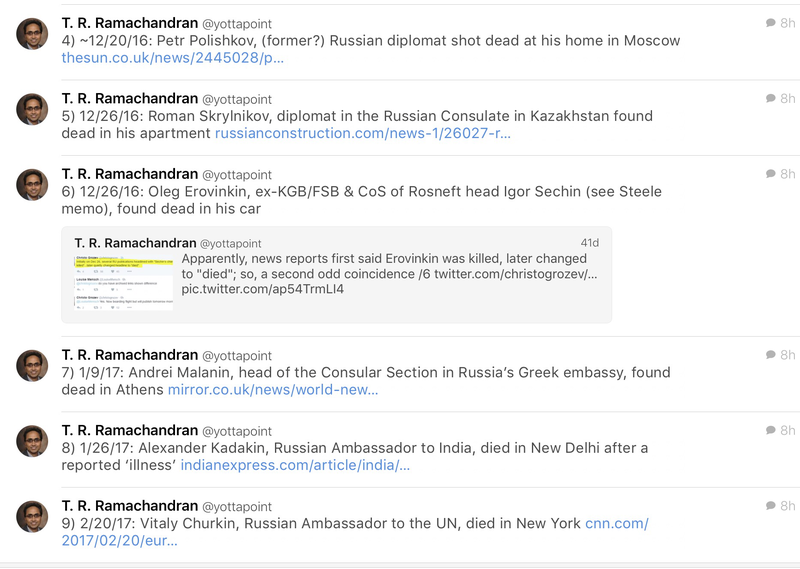 The diplomats mentioned are all turning up dead…Putin’s busy killing the evidence. Next Article Trump Administration Getting Nervous?